Things to do in Port Douglas – Best sightseeing spots! 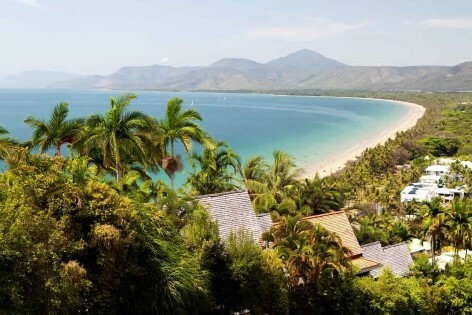 Port Douglas in Australia is a unique holiday paradise. Surrounded by the Australian rainforest, you will find this charming little village a great little place to visit. There is not even a traffic light in the town, and when was the last time you experience that! However, this beautiful spa town is by no means boring! 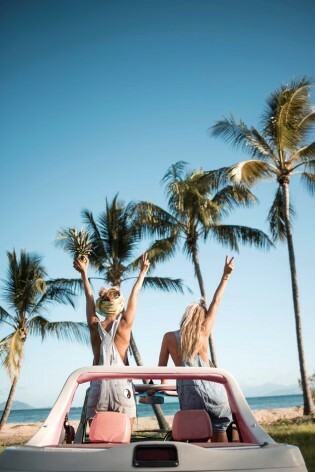 Travelwheels campervan hire Cairns have put together a list of the best things to do in Port Douglas. Port Douglas’ plams and beaches – A place to relay! 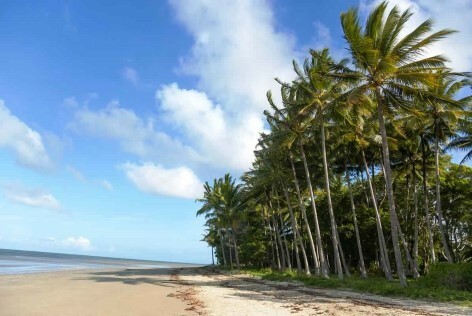 The “4 Mile Beach” is perhaps one of the reasons why Port Douglas is so popular. This is definitely on everyone’s best things to do in Port Douglas list! 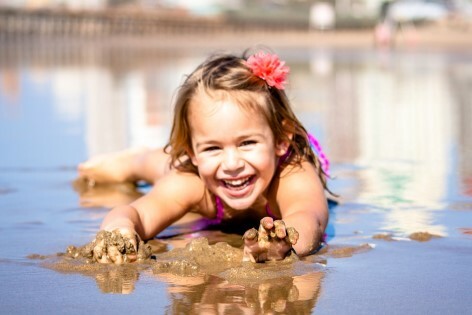 This never-ending white sandy beach offers fun activities and games for everyone! It is ideal for swimming, paddling, sunbathing or kitesurfing. Port Douglas, a place for young and old! During the wet season from October to April, the swimming area is shielded by box jellyfish nets to provide more security for tourists and locals. So don’t worry but please pay attention and watch out for warning signs as saltwater crocodiles are also seen quite often in this region as well. Here is a link about Box Jellyfish if you don’t know why they are so dangerous! This viewpoint is an absolute gem in and also needs to be on our things to do at Port Douglas checklist. If you would like to check out the beach from above, take your campervan up the hill until the end of Island Point Road and enjoy a sensational view! The incredibly lush Daintree Rainforest surrounds Port Douglas. The Great Barrier Reef is just a 40km boat drive from the shore! If you are looking for the best things to do in Port Douglas then the amount of nature and wilderness you can explore is simply amazing! 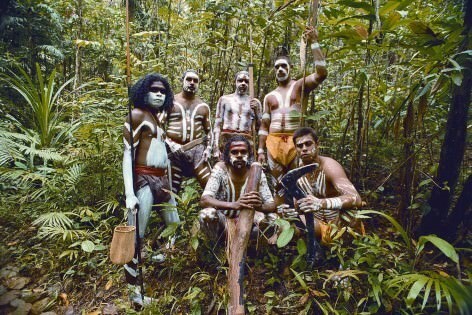 The Australian rainforest thrills everyone who visits with it’s fascinating plant and animal diversity. You can do remarkable tours guided by aboriginals that know their territory best or scout the area by yourself with your Travelwheels Campervan. We recommend visiting the Port Douglas Information Center before you start your trip. An adventure at Daintree Rainforest is calling! Get to know the bush. 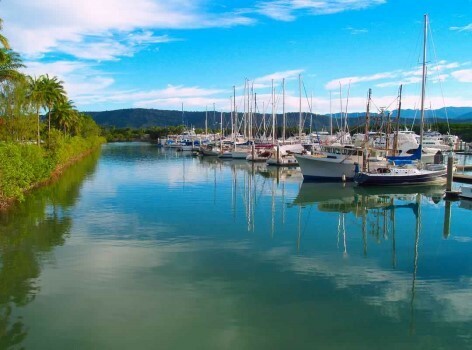 The Marina Mirage which is now known as Crystalbrook Superyacht Marina in Port Douglas offers 10 different tours to the Great Barrier Reef on a daily basis. Since the coral reef is just 40 km from the coast, you will find yourself at the reef within an hour by boat. 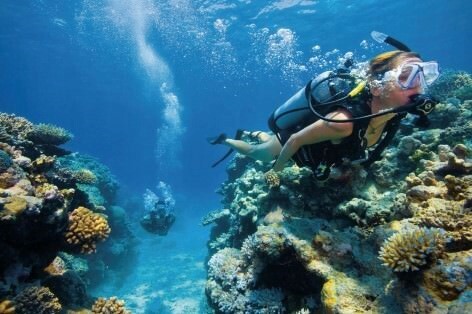 A dive or snorkel experience is a must do when looking for things to do in Port Douglas! The Great Barrier Reef is just an hours drive by boat away! Once a year, after the first full moon in November, can you witness an unforgettable natural spectacle! Make sure you book your diving tour in advance to see this! One of the very best things to do in Port Douglas is to sail to the outer reef in the middle of the night on board a catamaran boat. 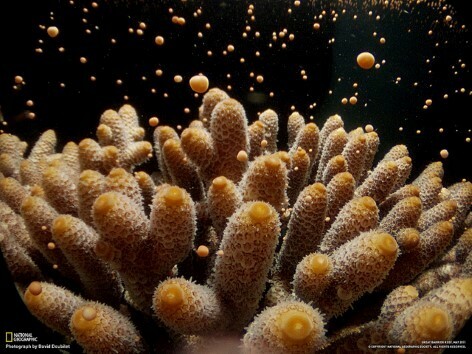 If it is at this time when completely dark, that the reef begins it’s fertilization process. This is a unique natural wonder known as the “Coral Spawning”. Many do not know that, unlike our plants on land, which have several weeks for pollination, the Great Barrier Reef is only active for a few hours over a few days. All the reproductive cells are released at exactly the same time due to the currents in the sea. It is a logistical masterpiece of nature! All non-fertilized cells can be spotted at sea level as an orange-colored carpet-like mass the next day. If you are looking for diving excursions in the area, then we suggest trying the Crystalbrook Superyacht Marina. This is one of the best things to do in Port Douglas. You will also find many great shops, bars and restaurants in the area. A great way to finish the day is to enjoy some freshly caught fish and watching the sun melt away in the background. 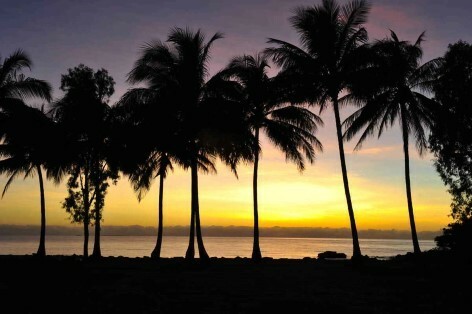 If you are looking for things to see and do in Port Douglas, then we definitely recommend a sunset meal outdoors. Are you looking for a good night out in Port Douglas? Travelwheels Campervans recommends “Fluid Nightclub”. Things kick off from about 11pm and the doors close at 5am! 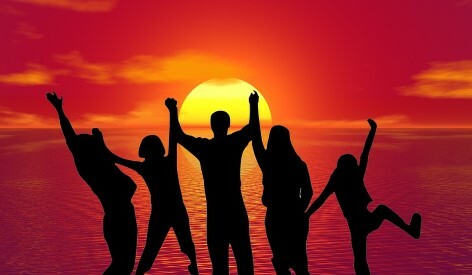 This means you can leave the club and go out and watch the sunrise by the beach! The Marina Mirage Shopping Center is not the only great shopping opportunity in Port Douglas. The “Macrossan Street” is another fun place to check out. If you are looking for clothing shops, art galleries, banks, supermarkets, the tourist information or a post office, then this is just the place for you. On Sundays we commend the farmer market at ANZAC Park. They offer great deal on fresh food, beautiful jewelry and handmade crafts & souvenirs. Here is a link to markets in Port Douglas you might find useful when searching for things to do in Port Douglas. 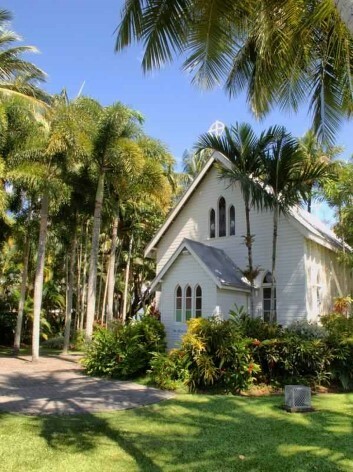 Without killing you to boredom with dry facts about the history of Port Douglas, we advise visiting the little wooden church known as “Saint Mary’s by the Sea Chapel”. This church is world famous for incredibly picturesque weddings. Romantic Couples from all the world flock here to get married as it is such a fantastic place to get married. After the lovely ceremony the beach right next door to the church is where the newly married couples get their wedding photos taken. This is the perfect place for a true princess wedding or perhaps a proposal? If wedding bells are not ringing, then maybe a nice romantic sunset picnic will do the trick? This will be a lovely way to end a day in paradise. As the list shows, there are many enjoyable things to do in port Douglas. Travelwheels staff recommend staying for a couple of nights to have a relaxing time. You can choose between many exclusive resorts or a simple campsite in the city center if you are on a budget. You can park your van at Tropic Breeze Caravan Park for $34/day. It has everything you need like a kitchen, washing machines and dryers, TV and most importantly a swimming pool! 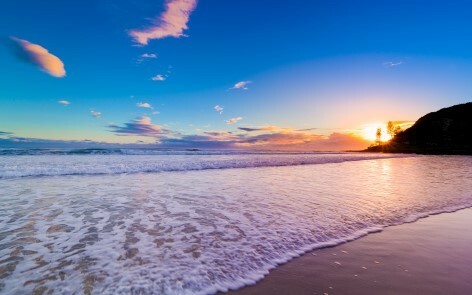 For more information about travelling in Australia feel free to email us at [email protected] We will provide you with many free tips for your campervan holiday in Australia.